Special pricing also applies with tickets just $15 for adults, $12 for children (ages three to 12), and free for toddlers (ages two and under). SEA LIFE Orlando Annual Pass Members receive free entry into the Toddler Tuesdays program. 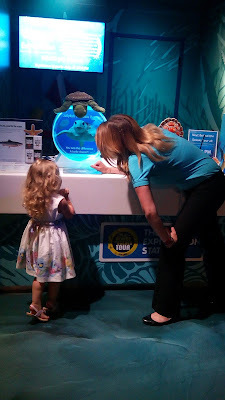 For more information about the Toddler Tuesdays program at the aquarium, go to VisitSEALIFE.com/Orlando. SEA LIFE Orlando is an immersive, one-of-kind aquarium experience that allows marine life enthusiasts to experience the magical world beneath our oceans of the world with interactive touch pools, bubble aquariums, floor-to-ceiling displays, a cold water rock pool, and 360-degree and 180-degree ocean tunnels featuring more than 5,000 sea animals. The 25,000-square foot aquarium attraction is home to colorful fish, sharks, sea horses, stingrays, jellies, a rescue green sea turtle and much more.